Today marks a very exciting day at Escentual HQ, it’s the official launch of Lancome! 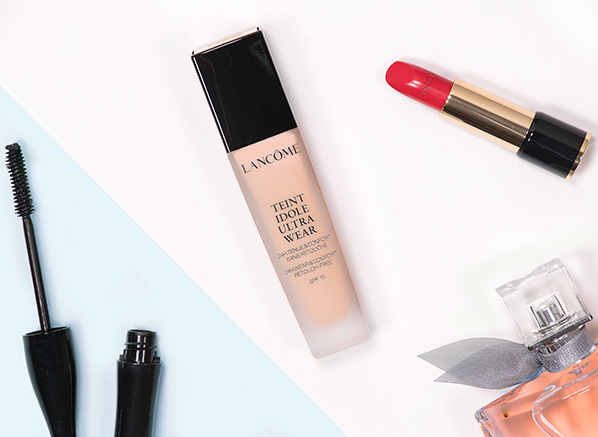 If you’re eagle-eyed and a regular shopper at Escentual you’ll know that we’ve been official stockists of Lancome fragrance for some time, but now we’re thrilled to share the news that you can now shop Lancome makeup and skincare too. When I think Lancome, I think La Vie Est Belle. This iconic floral fruity gourmand fragrance was first released in 2012 and is one of the most popular perfumes on the market some 6 years later. And even if you don’t recognise its name or bottle you’re bound to have to have seen its iconic advert starring actress Julia Roberts (cue the pensive facial expression). Inspired by the power of joy and the strength of women, Lancome La Vie Est Belle’s composition is centred around a velvety heart note of iris pallida, known as the flower of happiness. Sweet but not at all sickly, elegant but never heavy, the Lancome La Vie Est Belle Eau de Parfum is luxurious and delicious. Over 8000 people have tried the Lancome Advanced Genifique Youth Activating Concentrate and have given it a 5-star review. If that’s not reason enough to add it to your basket I don’t know what is! One of the most popular anti-ageing serums on the market and Lancome’s most best-selling product to date, the Genifique Youth Activating Concentrate is powered by youth-enhancing ingredients like hyaluronic acid and probiotic fragments, which improve the skin’s texture, reduce the look of fine lines and wrinkles, and boost the skin’s radiance. Made for everyone, no matter your age or your skin type, this serum is even better than it sounds. When everyone’s still raving about a makeup item some ten years after its launch it has to be good. That’s why I’m recommending that you try the Lancome Hypnose Custom-Wear Volume Mascara. First launched in 2004, Hypnose is still a go-to mascara choice for so many women, and quite rightly so. 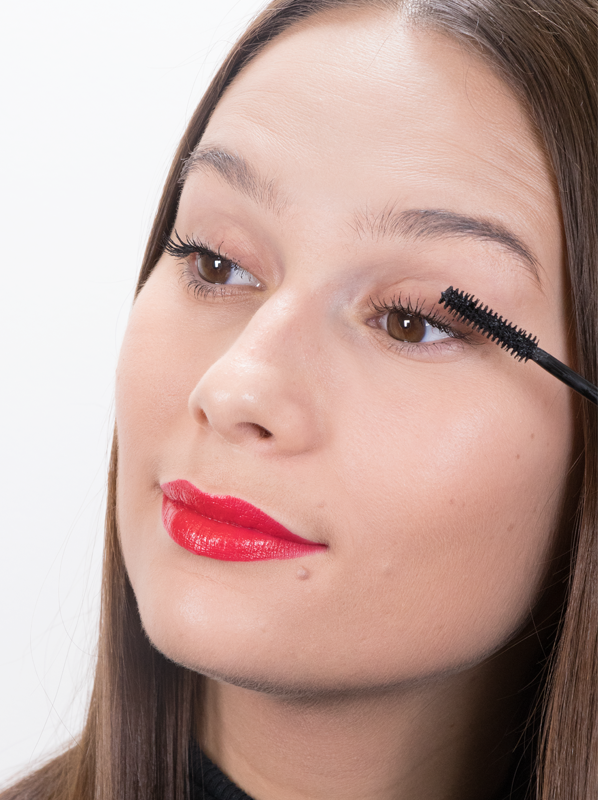 It offers everything you could want for your lashes: volume (up to 8 times! ), length and nourishment minus any clumping or smudging. And in true Lancome style, no one is left out; the Hypnose Custom-Wear Volume Mascara is suitable for sensitive eyes and contact lens wearers, comes in black and brown, and it’s available in a waterproof formula. Love makeup, but hate taking it off? You obviously haven’t tried the Lancome Bi-Facil Non-Oily Instant Cleanser for Sensitive Eyes. 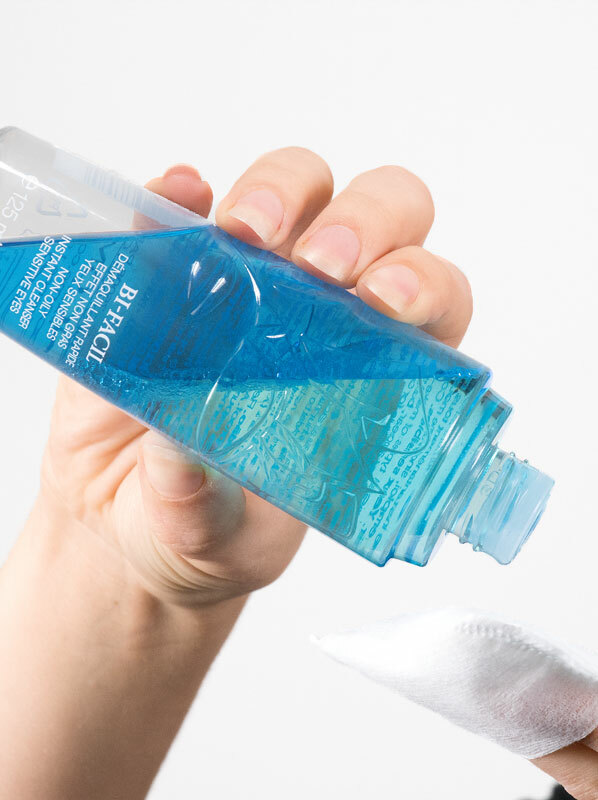 A saving grace for easily irritated eyes, this gentle yet highly effective eye makeup remover delicately takes off even the most stubborn waterproof makeup with zero pulling or rubbing. Hassle-free, when the bi-phase liquid is shaken it creates a super soft formula that sweeps away every last trace of makeup. When removal is this easy you’ll be wanting to create bold, beautiful eye looks just to experience the joy of taking it all off! It’s taken a little time but everyone’s slowly beginning to realise that hydration is the key to healthy, radiant skin. 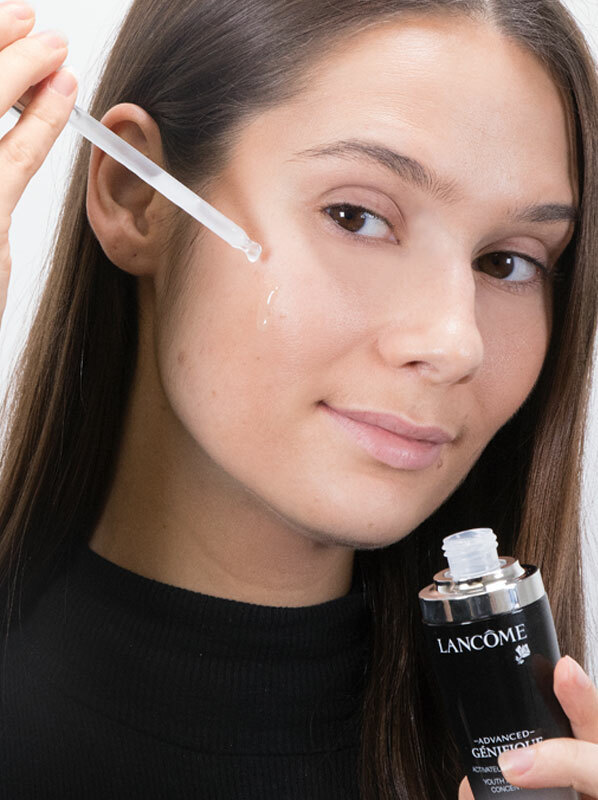 So there’s really no wonder that the Lancome Tonique Confort Re-Hydrating Comforting Toner is now one of Lancome’s top-sellers. Designed to boost just-cleansed skin, this softening, essence-like lotion harnesses the power of acacia honey and sweet almond oil to remove any leftover traces of makeup and dirt, while moisturising skin. By adding this to your skincare routine you’ll be sure to get glowing skin in no time! Top tip: apply Tonique Confort with a cotton pad or pour a little straight into the palms of your hands and press it into your skin. Foundation doesn’t get much better than this. 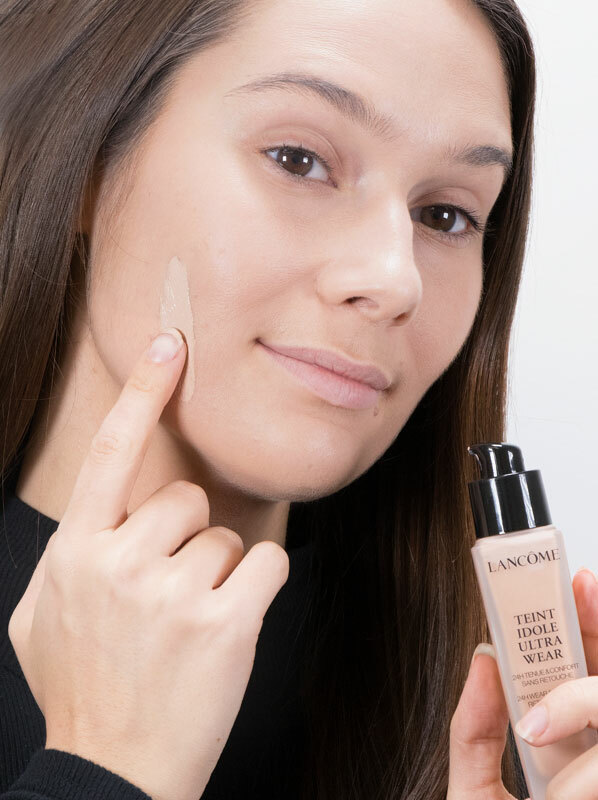 The Lancome Teint Idole Ultra Wear Foundation is Lancome’s best-selling base for a reason, not only does it have amazing staying power that lasts for up to 24 hours, but it offers full coverage that’s comfortable and is also available in a vast array of shades – you can find a line-up of 35 colours on Escentual! The oil-absorbing formula is infused with Eternalsoft Polymer, which gives the formula its long-wearing properties, while NAI pigments work to maintain the pH level of your skin to reduce oxidation. The result? Skin that looks flawless and shine-free from morning to night. First things first, let’s talk packaging. The cases of the Lancome L’Absolu Rouge Hydrating & Shaping Lipcolour is something to write home about. Dressed in black and gold, each one has a button pop opening that, when pressed, reveals the luxurious lipstick bullet inside – it’s like makeup magic! Of course, it’s the formula that matters most and this doesn’t disappoint either; the lip colour is enriched with moisture-boosting Pro-Xylane™, which intensely hydrates and softens. And if that wasn’t enough the lipstick comes in a rainbow of shades, and matte, sheer and cream finishes. 160 Rouge Amour (C) above is one of our favourites! This entry was posted on Monday, November 12th, 2018 at 10:29 am and is filed under Brand Focus, Fragrance, Make-up, New products. You can follow any responses to this entry through the RSS 2.0 feed. You can skip to the end and leave a response. Pinging is currently not allowed.